A house can never be complete without our loved canines. After all, they are the most loving and caring member of the family. In today’s time, the biggest challenge for pet owners is giving their pets the freedom that they deserve. Certainly, such problems exist due to security reasons, in spite of a huge garden outside the house the pet owners can’t take the risk of unleashing their pets. Don’t we love to leave them free for them to enjoy without putting them at risk? Yes, we do, and for that, we will be discussing a perfect solution to this problem so that we can allow our loved ones to enjoy the fresh air without much of our attention. Using an electric fence (often an in-ground dog fence) is one system which is successfully solving this problem for years now. This system will work for both a big and a small dog. 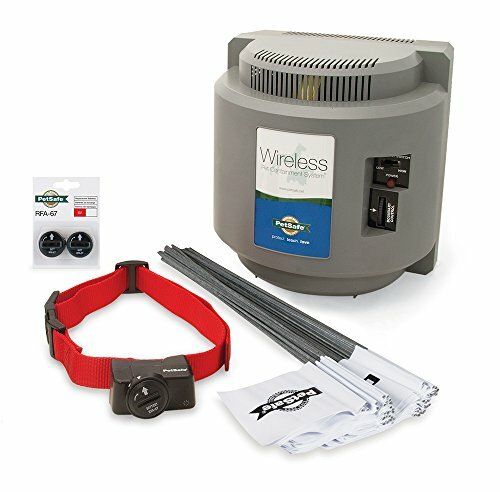 What is a Wireless Invisible Dog Fence? What does it do? 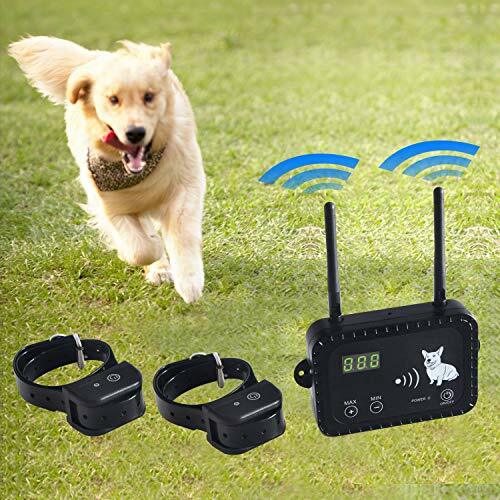 This system is also known as the Electronic Pet Containment System and It is a set of electronic devices, majorly consisting of two things: Transmitter, and a receiver. 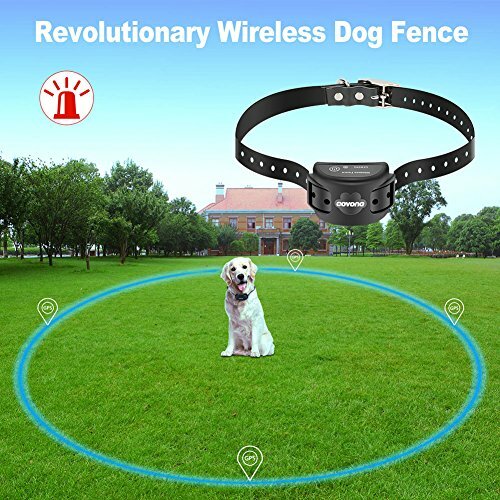 It helps in creating an invisible electric dog fence(without the need of physical fence) by radio signals (or GPS) and warns the pet if it crosses or approaches the predefined boundary area. The house is also alarmed when the pets do the above. This has made the dog owners free of the hassle of installing a traditional fence. This is a relief for people who face legal issues due to installing a physical fence and for those who just don’t like to install it for aesthetic reasons. Above all makes it the perfect solution to our fencing problems. A transmitter helps in adjusting the boundary area and should be installed inside the house. The transmitter beeps (to alarm the family members) if the pet is close to the boundary or crosses it until the pet is safe inside the predefined containment area of the yard. The receiver comes with a collar, attached to it. If the pet approaches the boundary, the collar gives a warning beep; still, if the pet doesn’t stop and crosses the boundary then it surprises it by vibration and by giving a mild shock. Actually, it is not shocking or painful; it is more irritating just to surprise the pet. Many people get emotional and worried after reading about the shocks, but it is absolutely painless, shock free and the best way to assure it is to hold the collar in your hand and test it. To clarify, it feels like somebody is throwing water splashes on you to alert you. The shock levels can be adjusted according to the weight of the pets. Usually, for small dogs, it is less, and for big dogs, it is more intense. Also, it gets stronger when the distance between the boundary offside and the pet increases. Are you wondering what this means? In such systems, the boundary is defined by burying the wire 3-4 inches deep in the ground. There are limited benefits with the wired (or in-ground fence) systems, one of it is that you can choose the boundary of containment area in any shape, for example, you can exclude the road (if any) between the garden, or children’s play area where you don’t want your pet to go. It gives coverage of up to 25 acres of land. Such installations are difficult as compared to the installation of wireless devices. If the wire breaks after burying it then it becomes really difficult to locate the fault. Moreover, you will have to dig out the complete wire again. It is very labor intensive to shift the boundary in case you want to make changes to the backyard or change your house. It is difficult to dig road or solid materials to bury the wire. In these systems, a circular or radial boundary is defined by the RF signals emitted by the transmitter. Portable and can be configured in a few minutes. A boundary can be set easily in spite of the road or concrete. Coverage area is less than 25 acres. There is no way to exclude any portion from the circular boundary but the radius can be adjusted. Wireless systems have more advantages as compared to the wired or in-ground fence systems. There are many varieties of wireless electric dog fence systems on the market, but all houses and needs of people are different. So one must choose a product that matches their needs. As a result of our research, we have listed some dog fence reviews here which are economical and appears to be the Best Wireless Invisible Fence systems. This is based on RF technology and you can adjust the harmless static shock levels. This is a good option for people who have two pets. This is another awesome option. Choosing between these two was quite difficult, as they both have lots of great options. Let’s look at the specifics of this system. In our opinion, this is the best cheaper system you can buy on the market right now. Make sure it fits your house situation and your pet. This is based on the GPS technique which is comparatively more precise than the RF technique. It is also more resistant to interference. It is very simple to configure the pet fence, just bring the collar in the center of the containment area, set the radius and put the collar on your pet. – It is not advised to be used on rainy days or near tall buildings due to the weak GPS signals. – Every time you use the collar, you will have to reposition the system because there is no memory setting. – It is advisable to NOT use it on dogs for more than 12 hours. – The dog owner does not get notified if the pet crosses the boundary, because it does not include a transmitter, just the collar. This is one of the best options with multiple features, especially the tone-only feature for training the pets. 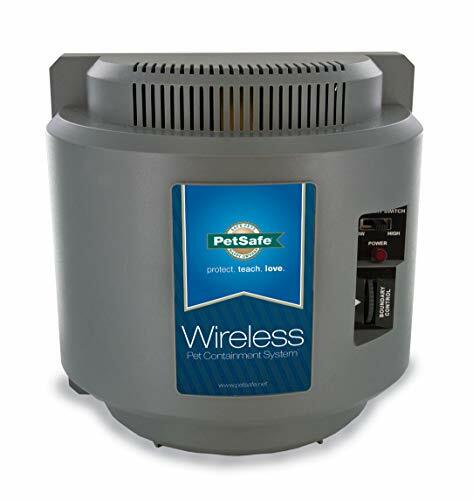 Petsafe also sells extra wireless fence transmitters to expand the range. However, this is quite expensive; it will a better idea to buy a system that suits your needs in the very first place instead of buying an add-on. 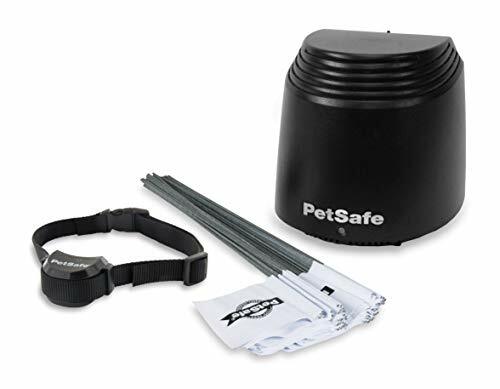 For stubborn dogs, who are hard to teach or who do not listen to the owner at all, this company has a Petsafe stubborn dog fence which has the highest intensity of static correction level, only the collar is different from the normal system. If you have a stubborn dog, then you might want to buy this one. This is also a fantastic option if you’ve got a pet that likes to cover lots of ground. 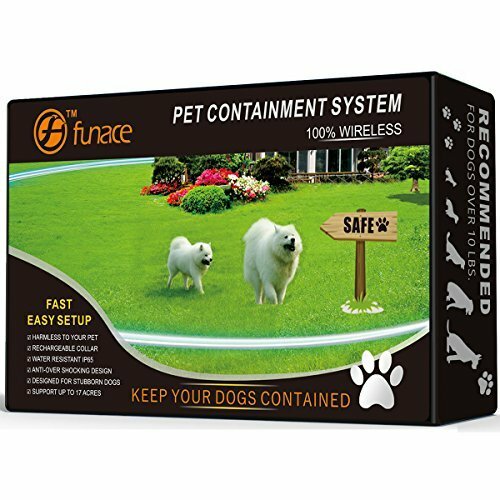 This is one of the best options for people with huge backyards or with multiple pets because this device can cover area around 17 acres and is capable to handle unlimited number of pets with 1 transmitter. In addition, it comes with an anti- over shocking device so this makes sure that our fur baby is not surprised much. Moreover, prior to every shock, there will be a 2 seconds long warning beep. To sum up, above-mentioned devices are the 5 best wireless dog fence systems available in the market. All transmitter comes with adjustable static levels, and all the receivers are attached to the collar. Each system will first beep and then surprise the pet if it doesn’t stop proceeding toward the boundary. All the companies mentioned above reply in less than 12 hours to your queries and a manual is included with all the systems. After all the hard work of going through the list of products now comes the delicate and a little difficult task – to introduce this device to your loved one. Once you have received your fence system, train your dog according to the manual, so it gets minimum warnings and understands why it is feeling surprised. Training your pets is easy but will take a few weeks. Why is it important to do this training? While it may seem like you can just install the system and walk away, pets can be terrified the first time they receive the light shock while walking outside of the boundary. You don’t want to have them be scarred for life by the experience. Use the tips below and spend some time going through the process with your canines. It will definitely be worth your time and effort, and your pets will surely thank you. 1. Mark the invisible fence boundary with training flags. 2. Set the tone-only mode on the collar (if exists) or deactivate the fence system. 3. Walk your leashed pet along the marked area of the yard so that he can be familiar with the place. For instance, dogs pee to mark their territories. Do this for a couple of days. 4. Turn the fence system on and walk the pet on a leash till the point the collar first beeps. After that, turn around and move back. Continue this step for a few days and note if the pet has started to turn on its own or not. Keep walking it until it doesn’t start turning on its own; it might take a week or so. 5. Once it is familiar with the boundary, get a long leash and fix it in such a manner that it cannot go beyond the fence. As the collar beeps for the first time, it should turn but if it doesn’t then call it back and praise it for obeying your command. If the pet doesn’t obey and reaches the boundary then it will get warned by a mild shock. This is the first time when it will get familiar with the shock so make sure to get it back in the safe zone and comfort it during this experience. Repeat this step for a few days and observe, if, or not, it starts avoiding the boundaries. 6. Once the pet is familiar with its play area gradually start decreasing the flags. The entire process can take 2-3 weeks or more than a month, varies from pet to pet. 7. To sum up, the pet should only stay within the safe zone and turn back at the warning beep. You must accompany your loved one for a month or more so they become comfortable with the system. Some owners make the mistake of leaving canines alone. The slight shock which comes when they cross the boundary could throw them off and make them feel scared. • If you have more than one dog then make sure that the transmitter supports multiple collars. • Do not put the receiver on the pet for more than 8 hours or on pets younger than 6 months or on overweight pets. •Make sure that the prongs are shorter for short-haired dogs and longer for long-haired dogs otherwise the (harmless) shock will not work. • Check the batteries daily if a battery level indicator is not included with the system in order to avoid surprises. Although, it is a good idea to buy one. • Hang the transmitter on a well accessible wall in the center of the house. The temperature of the room should not be below the freezing point for the transmitter to work properly. 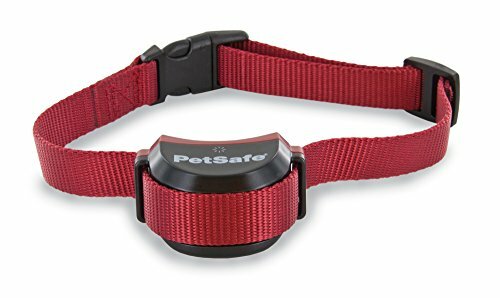 • Make sure the receiver works properly before putting it to use as there is a possibility where the collar does not warn the pet or unnecessarily warns the pet. Train your dog well and most importantly, let it slowly get acquainted with the perimeter of the safe zone. • If your little furry friend is stubborn then consider buying the systems specially designed for such pets. To sum up, be patient and careful when choosing the best option for your home and pet. After a bit, your fur baby will adapt even if the slight shock feels weird initially. The tips above should be sufficient to make choosing fairly easy for you. If you have any further questions, go ahead and call up the product manuacturer. They should be able to answer all of your questions. Make sure that the system you select is strong enough and appropriate for the level of movement that your pet has. If you’re dealing with an energetic pup, naturally, you’d need to get a wireless system with a bug radius so that they don’t feel trapped. Pay particular attention to the specifics of each system. That means looking at weight, boundary, and more. If you have any experience with these systems or would like to leave us a comment, let us know below. We’d like to hear from you!